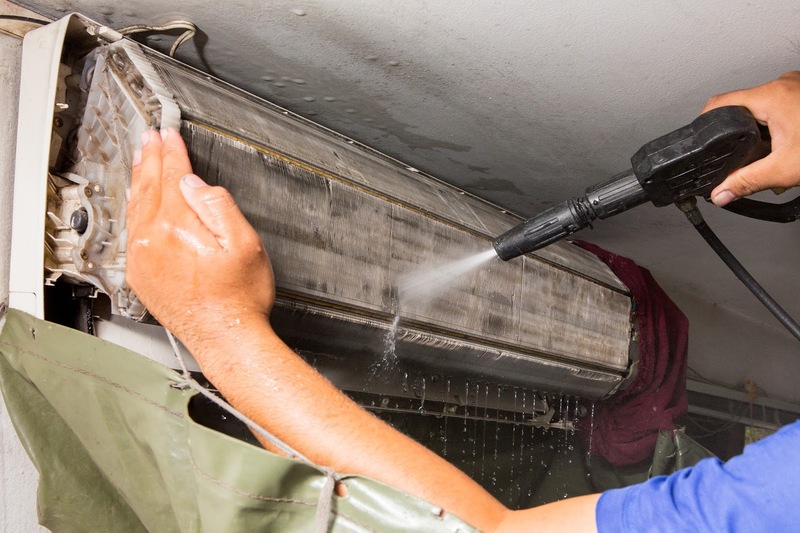 Cleaning your aircon regularly is very important in keeping it in the best shape. If you ignore this part of maintenance deliberately, then you are likely to be faced by huge expenses in terms of repairs or even for the whole AC replacement. There are different methods of cleaning aircon units, depending on the type. Centralized type, packaged type, split type, and window type all differ in composition and structure. Hence, there are precise ways in which each of them is cleaned properly. 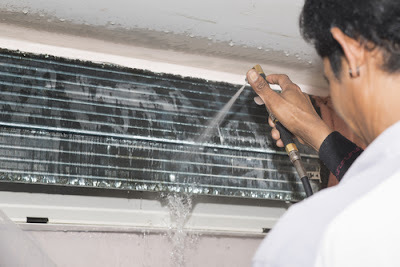 It is very crucial to that the standard techniques of cleaning be followed to ensure that the cleaning is effective, and also to prevent any damages to the AC as well. 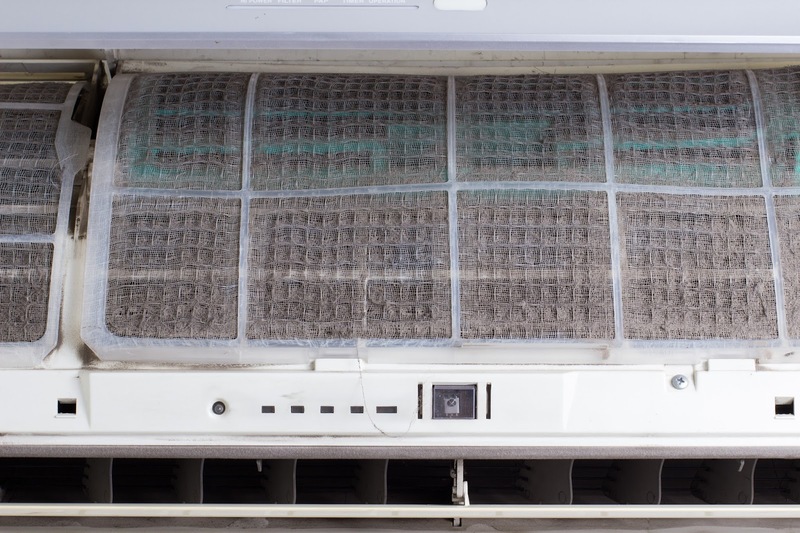 The ducts and coils in your AC should be kept very clean since they can negatively impact the working of your aircon unit. For instance, dust particles or by both dust particles and smoke can block the unit. In some cases, the ducts may narrow due to fur dogs and cats and smoke. 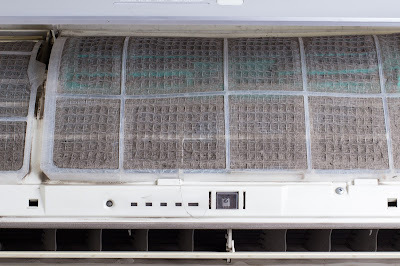 All these can greatly affect the working of your AC unit negatively. That being said, it is very important to make sure that the ducts which lead to the AC are cleaned regularly. What are some of the key advantages of cleaning aircon on a frequent basis? Frequent cleaning doesn't mean that this daily cleaning activity. It refers to carrying out a cleaning activity after a total of 3 or more years have elapsed. Many HVAC professionals recommend that you should your aircon unit after a duration ranging from 3 to 5 years. One of the major advantages of cleaning the unit regularly is the fact that it helps to maintain good health. It may appear irrelevant but it is relevant with all factors considered. Suppose it's too hot, how can your unit function well if ducts are narrow or blocked with dust? The result is not having clean air in your home. The result of not having clean air circulating is poor health. Suppose you're one member of your home smokes, then your health may be at risk if the unit is not working as it is required to. The situation may be worse if there is a member in your home who has respiratory problems such as bronchitis and asthma. Based these reasons, it is very important to keep the unit clean. If you live close to a heavy industrial area, then cleaning your unit on a frequent basis can't be overemphasized. In this case, you should hire a HVAC expert to do the cleaning for you. This is the only way to keep the gas vents in tip-top shape. Alternatively, you can clean the unit on your own. However, take this step if you have the required experience in cleaning the gas vents of an air conditioner. Otherwise, you may put the life of your aircon at stake. You may also put your own life at stake if the unit you're cleaning has been exposed to toxic substances. The fact is that aircon units don't work properly if the ducts are either blocked or narrow and this may lead to the overworking of the unit. If the aircon unit is overworked, then the electricity bills go up. You may be surprised to know that your expenses on electricity bills may go up by more than 3 times.The result of this increase may call for the cut on some crucial things such as car fuel and food in order to maintain your AC unit. Furthermore, overworking the aircon unit may end up breaking it down, which result in buying and installing another one. You may also be needed to call a professional if your conditioning unit needs repair. All these problems can be prevented if the aircon is kept clean at all times. One of the major things you may need to consider when you are looking to have your air conditioner cleaned is the type of company you are going to need. Depending on how your unit is set up, you may need to have either a commercial or a residential company. These professionals are well trained in dealing with the different types of aircon units. During their service call, the aircon service company is going to take their time to clean your unit properly. This will help to prevent the buildup of smoke, fur, dust and other items from becoming a huge problem and affecting your unit. In some cases, these experts can do a deep cleaning of things such as the cooling coil, in the case that there is a need for such services. The aircon service company can also do an inspection of the AC that you have. During the inspection, they may look for things such as leaks, breaks in the hoses and other things that may end up costing you money. They also look defects on the unit which could potentially cause huge damages to your unit, if left unrepaired. Remember that while they are there cleaning your unit, it is a good idea to mention any problems that you're noticing as well. These may be problems like the unit is taking longer to cool down or if it's making noises. The HVAC professional can then check the coolant levels and make sure that there is nothing loose inside the unit itself. You would want to ensure that you are having regular aircon cleaning service done to your unit to prevent any future problems from happening. Check some of the local HVAC service companies in your area, check their pricing structure and what their cleaning services entail as well. There is no doubt that one of the greatest things you can do for your AC will be to have it handled by a professional. 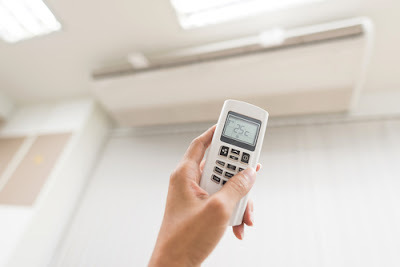 Take your time to explore the different options that you have and make that you choose a HVAC company that is reputable and is devoted to providing you with the best services when you're looking to have your air conditioner cleaned. Buying a new aircon is one of the most fulfilling things. You can control the quality of air in the room as you wish especially when it is hot and humid during the day. In fact, without a proper function aircon, it will be extremely difficult to enjoy indoor times in Singapore. The place is mostly known for the hot and humid. As you continue using the aircon as some point will need to be serviced. In most cases, the manufacturer will specify when the servicing should be done to ensure that it is operating at the highest efficiency possible. The main purpose of an aircon is to improve the quality of the air circulating in a room. It is designed to provide a highly conducive environment to work in. When the air condition is new, it works at almost 100% efficiency and this ensures that the quality of air is top notch. If the effectiveness of the machine starts going down, it will lower the quality of the air. You need to have the aircon serviced regularly to ensure that the quality of air is maintained. Otherwise, you will never enjoy the benefits the machine is designed for. The efficiency of a machine is simply the state and quality at which the machine is operating at. Though no machine can hit the 100% mark, the best should be operating at 99%. If an Aircon is poor serviced or not serviced at all, it will lose its efficiency. This drop will have an effect on the quality of machine operation and the energy consumption- you will be paying more to maintain the aircon. Having it served properly serviced on a regular basis as advised by the manufacturer will help in maintaining and improving the energy efficiency. By cleaning the air, the aircon helps in removing allergens and bacteria that are known for causing the spread of airborne diseases. If the machine is denied the proper serving, it will not remove allergen and bacteria from the air effectively. The result will be spread of airborne diseases such as common cold, tonsillitis, and sore throat. The result will be low production in the office and sometimes the absence of the workers. How would it be if a client finds that everyone in the office is coughing? It is, therefore, important to have the machine serviced so as reduce the possibility of airborne diseases. Reducing cost of repair is one of the main benefits of servicing machines regularly. While servicing, you can easily identify the areas where the problem is developing from and collect it. This will reduce significantly the need to have some replaced or repaired. This is how the cost of repair will be reduced. 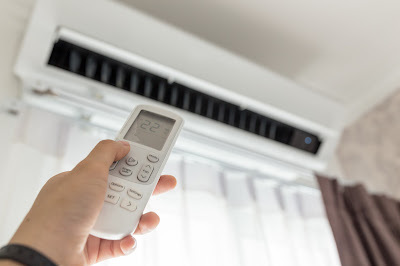 If the aircon is allowed to run till it becomes faulty, then the cost of repair might be very high compared to when regular aircon services have been provided. With every servicing that is done, the machine is given a new life. It starts working again as if it was new. Regular maintenance ensures that the machine lifespan has been extended. One mistake that many people make is denying their air conditioners servicing hoping to save money. The potential danger is that it might, and one day it will just go silent. 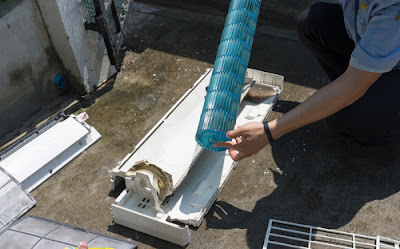 The damage might be too severe to the point that even repair cannot save air conditioner. These are challenges that regular professional servicing addresses. What if one day you aircon just break down when you most need it. It can happen when you are having a general meeting with shareholders or meeting with friends at your home. Break down mostly comes as a result of failure to service and repair the defective parts of the machine. By hiring professional services, the possible causes of breakdown are identified early before and rectified. In fact, it is very hard to have a regularly serviced aircon breaking down unless you hired unqualified persons to do the job. 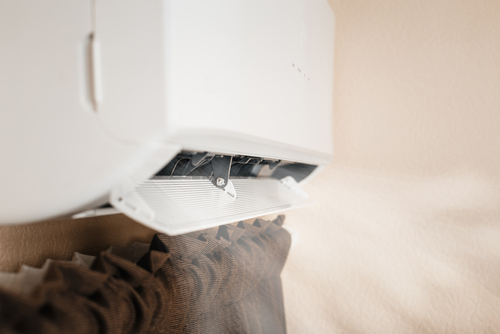 Nothing can provide a homeowner with peace of mind than knowing that an air conditioner is working properly. It can sometimes be annoying to know that you are operating with a machine that is likely to fail anytime. Having the machine serviced regularly will give you confidence that it is okay. You will have least worries that it is likely to fail you when you need it the most. It will also be highly reliable in the service delivery -the machine will be running at its best. An air conditioner performance will deteriorate with time. As the wear and tear affect the machine, the performance will definitely drop. To improve on this, you have to ensure that the aircon is serviced regularly and properly. Improved performance will also play a key role in ensuring that the best quality of air has been delivered to the room. 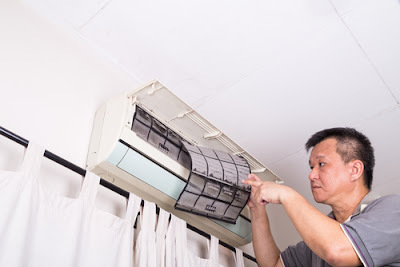 By servicing the air conditioner regularly, it has been proved that it will reduce repairs and breakdowns. Both are situations that can cause you a lot of money if they happen. It is also true that a properly serviced aircon has less operational costs and this can specifically will be seen on power bills. The bottom line is that the machine will save you more money in the long run by servicing. For any air conditioner that you but, it must have a warranty. Though you are guaranteed to enjoy some privileges by having the warranty, you are also supposed to adhere to a set conditions including regularly having the machine serviced as scheduled. It is, therefore, important to have the aircon serviced for warranty purposes. 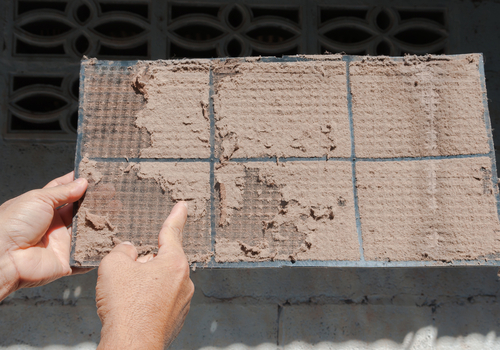 These are 10 of the main reasons why you should have your aircon professionally serviced. It is necessary mostly for the quality of air that is the main reason for buying an air conditioner. The benefits of regular aircon servicing are indeed immense. Hire a professional service provider if the manufacturer does not offer the service.